Galway city councillor Mairead Farrell. 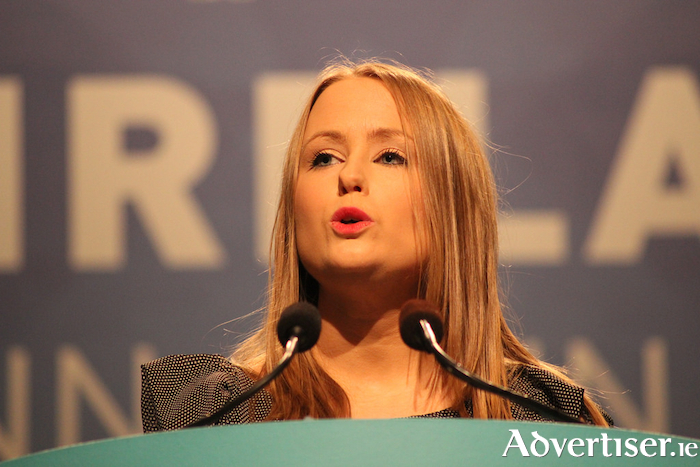 While Gerry Adams announcement of his plans to step down as party president was the main talking point from the recent Sinn Féin Ard Fheis, Galway city councillor Mairéad Farrell was elected to the party ard chomhairle, as the sole representative from Connacht. Cllr Farrell, who represents the Galway City East ward in City Hall was elected to the Ard Chomhairle from the floor of the Ard Fheis along with 18 others who will be tasked with co-ordinating party development and policy for the next 12 months. She will serve on the body with MEPs Matt Carthy and Lynn Boylan, TDs Pearse Doherty and Eoin Ó Broin, and the party's Northern leader Michelle O’Neill.